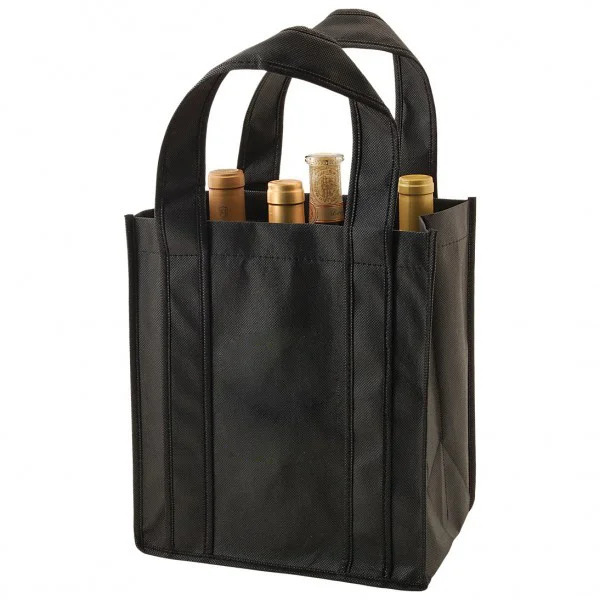 Great purchase, employees and customers are very happy with the 6-bottle wine tote. Wonderful bag! The handles in particular are very sturdy and, in fact, overall our bags are of a fantastic quality. The stars aligned when this bag was made! A very tasteful bag, with plenty of quality and style to boot! Our customers will love getting their hands on our bags. Custom Earth was very helpful from the very beginning of the ordering process and made sure that our bags arrived in a short amount of time. Our bags themselves are beautiful and we are particularly impressed with the durability of them. Every detail of our order went as smoothly as possible. Custom Earth helped us to narrow down our bag choice to this particular bag and the quality of our bags themselves is unsurpassed. We will be ordering from Custom Earth again in the future. My company was looking for an eco-friendly alternative to the typical bags you find out there and we hit a home run with this beautiful wine bag! The merlot color in particular is stunning. 5 stars. These were so affordable and they look amazing! Thanks CEP! Our bags are wonderful! They were so affordable and look really great. Really impressed with the way our bags turned out! They are high quality and really strong. Love our bags! The divider really provides extra stability. This is the largest reusable wine tote we offer at my winery when we do tours and at our gift shop. We also use the WT2, WT7, WT8, WT15, WT16, and the WT18. The customers love them all, we like to offer them a range of reusable wine totes of course the reasoning behind that is pending how many wine bottles they purchase and or we giveaway. Custom earth promos always makes nice, durable, well made bags. 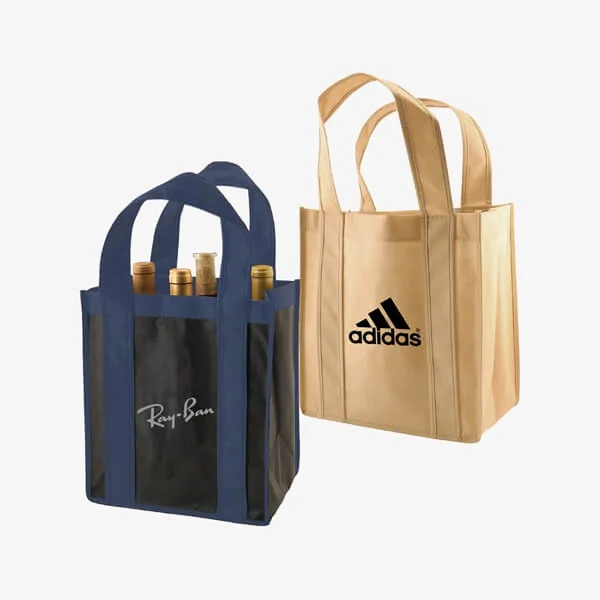 Your logo will look clean and neat on a stylish wine tote. We exclusive use them for my winery. I suggest custom earth promos wine totes to all in need. Great staff to work with. They are on the ball with coming up with creative ideas for promotions for your company. Customer service was great. Looking forward to placing more orders with CEP in the future. I recommend the wine tote, because it gets the job done and the printed quality is bar-none to other companies we've ordered from. We use this bag as part of our centerpiece on all tables at our events. We offer 3 of our reds and 3 of our whites for each table. The attendees love the bags and always take them home because they're so stylish and can be used time and time again. I love partnering with custom earth on all of our projects. Never had a bad project wit them. Custom earth promos website is very easy to navigate, I uploaded my logo to there site and placed my order in a zilch!! The non-woven poly material of these totes is much stronger then a neoprene material that I had received from a different manufacturer. I would choose one of their non woven poly material reusable tote bags. We received our wine totes with the recycled reusable shopping bags at the same time. Great working with custom earth promos, they understood my needs and meet them. 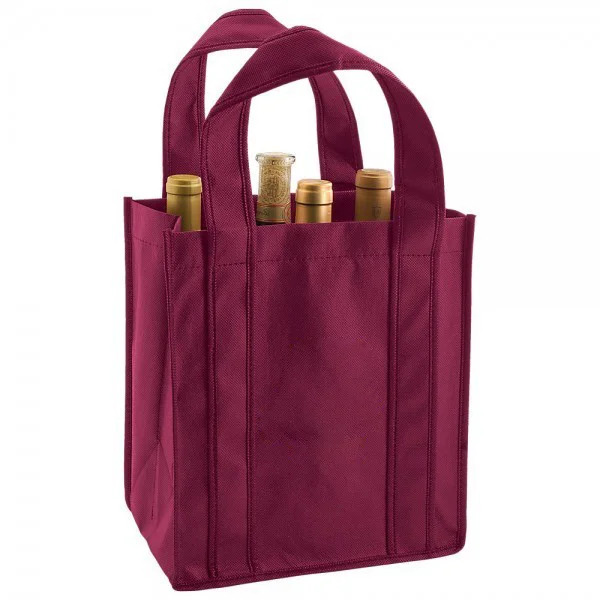 Natural color reusable tote compliments our Pinot wine we offer quite well. Love this company's website, they make the process of ordering recycled reusable bags very easy. We customized our logo and it looks great, tons of options offered. I recommend them. Nice reusable wine tote. The handles are reinforced and there is no problem carrying 6 bottles. We offer 6 different flavored gins, we use this bag to hand out at events offering a half pint size of each flavor packaged in this tote bag. The design we came up with really accentuates the gin bottle labels. Very strong bag, can easily hold 6 full 750 ml bottles. Great bag. Love the colors. I ordered a bulk quantity of these bags. Our organization's brand image came out exactly what the digital sample looked like. Completely made with recycled materials, our Recycled Custom 6-Bottle Wine Totes continue to become more and more popular with businesses as reusable, durable and exceptionally cost-efficient promotional products. Your customers will be able to use these multi-bottle totes for months or even years without the need for plastic bags. Now you are helping your customers make the switch to reusable bags, so you can feel good knowing you are doing your part to protect the environment. And the more you do to establish your image as an eco-conscious brand, the more potential customers you are sure to attract. Now you have the perfect product to help your customers protect and carry that six-pack in style! Of course, we’re talking about wine bottles, not beer. When you choose Custom Earth Promos' Recycled Custom 6-Bottle Wine Tote collection to help promote your brand, you’re getting convenient, creatively designed custom bags carefully crafted to suit your color scheme and brand image. At a size of 10" W x 11" H, these bags can are also perfect for double duty as grocery shopping bags. So their potential for multiple uses can give you even more exposure every time your customers carry them out the door. Whether you run a winery, liquor store, market, restaurant, hotel or bar, these bags are the perfect tool to promote your brand. Crowds will love these bags when you give them out as gifts during trade shows, store openings, business events and special occasions. And these high-quality totes can quickly help you appeal to a wider audience, allowing you to start drawing from a much larger pool of potential customers. You can work with our design team as much or was little as you want, to create a brand-boosting personalized design or custom message to imprint on your wine bags. 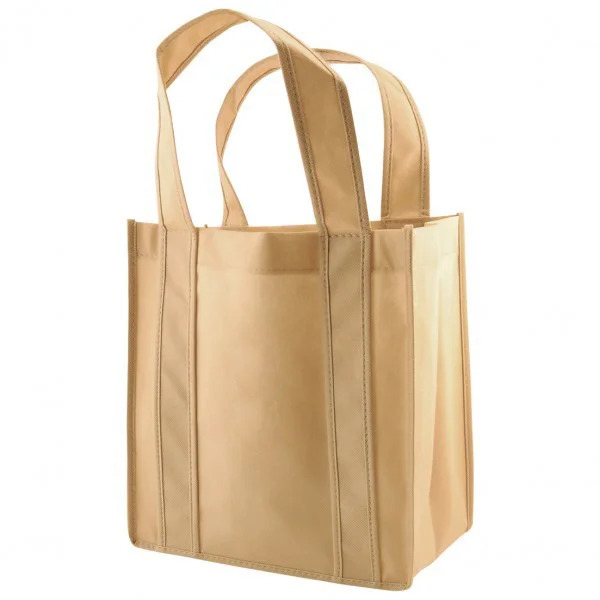 These totes are the perfect promotional product to send seasonal greetings, promote a cause, advertise an upcoming event or even make the public aware of a new product or service. And you can rest assured that we perform rigorous testing on these wine bags to confirm that they are free of harmful chemicals and pollutants, to comply with California's Proposition 65 regulations. So there’s no question you're giving your customers high-quality, environmentally safe products every time. When you choose Custom Earth Promos, we meticulously attend to every detail in the process of designing and manufacturing your wholesale order of Recycled Custom 6-Bottle Wine Totes. Through our overseas production factory, we can make custom wine bags to your exacting specifications. Fabric colors to match your logo. Edge-to-edge printing. Free custom trimming. You can expect all this and more, plus we offer some of the best, most affordable products and services in the industry. Order direct overseas with us and we can offer you other custom options, such as additional pockets, insulation insertion, dimension adjustments and extra material density. Just give us 8 to 12 weeks, and we’ll give you stylish, fully customized wine bags to take your marketing efforts to the next level.